"See You Real Soon": The Original Mouseketeers and Those That Followed! Child stars often end up descending into many issues as a result of their over-indulged youth. Mental breakdowns, drugs, and ending up in jail all seem to be a standard right of passage for many and this certainly pertains to Disney stars. While we’ve even seen the stars of today such as Britney Spears, Lindsay Lohan, and Miley Cyrus go this route, they are only following the lead of generations of Disney stars who have journeyed this fateful path. Check out these original Mouseketeers, where they are now, little-known info, and the occasional scandal or two! One cast member ended up playing “Ratboy.” Read on to see who! Walt Disney himself created The Mickey Mouse Club, a variety show, that aired all the way from 1955 to 1996. The first version of the show aired from 1955 to 1959 on ABC. While the cast of teens changed as the years went by, the originals are some of the most memorable of all Disney performers. The original show first aired directly after American Bandstand and remains a favorite past time of kids growing up in the 1950s. 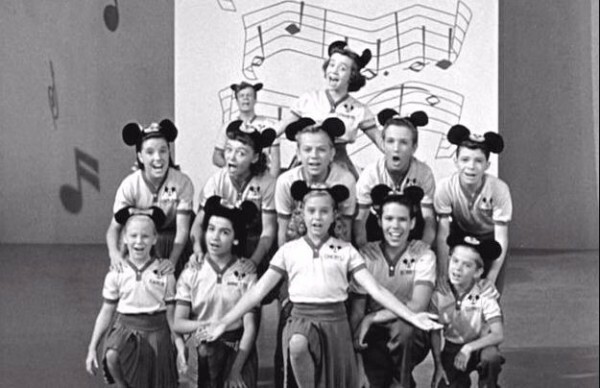 The show was hosted by Jimmie Dodd who was referred to as the Head Mouseketeer. It is said that he was a leader both on and offscreen and often encouraged the young audience to make good choices.